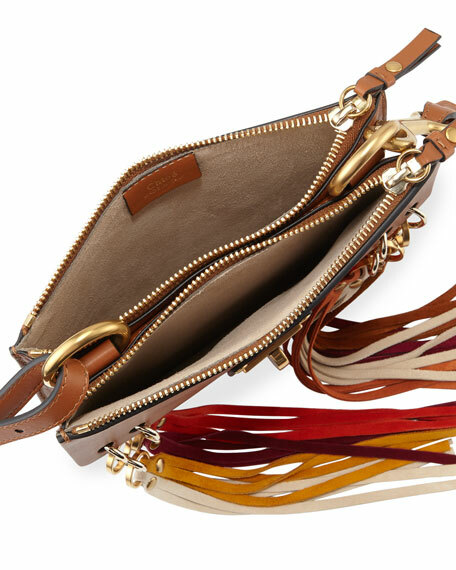 Chloe small crossbody bag in suede with smooth leather trim. Brass hardware with pale golden trim. 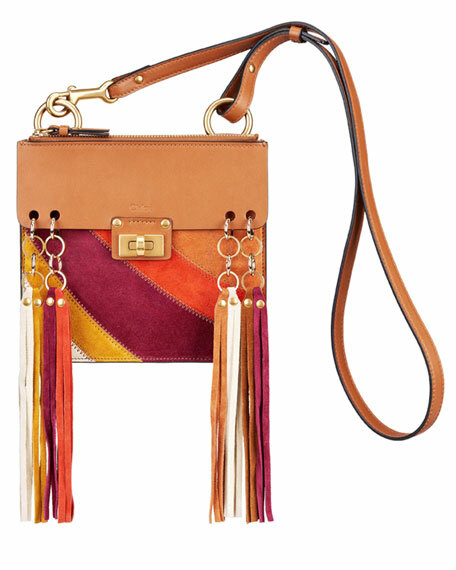 Flap front with multicolor tassel trim and turn-lock detail. "Jane" is made in Italy. For in-store inquiries, use sku #1706184.